Contrary to popular belief, the advent of Industry 4.0 doesn’t require your manufacturing plant to undergo a complete digital overhaul. Besides being a near impossible feat, an overnight transformation would be a costly undertaking which out of step with many smaller manufacturers. 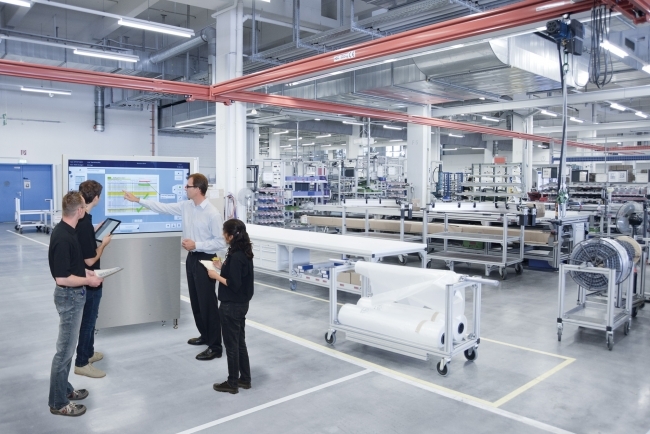 Instead, taking an incremental approach to digitalisation allows manufacturers to create a collective consciousness across their process, delivering new levels of efficiency and productivity precisely where it matters. Imagine a motor in one machine driving an axis movement that can talk to and interact with other components in the same machine – as well as with other equipment in the process. All elements are working seamlessly together, while you glean unparalleled insights and unrivalled levels of control. Whatever the demands of your manufacturing process, the Factory of the Future distributes intelligence across your business, while a gradual implementation magnifies the benefits of each evolutionary step. Digital transformation doesn’t mean throwing out existing equipment and replacing it with brand new alternatives. Industry 4.0 starter kits – including buses and PC units which can be retrofitted to existing production equipment – allow for legacy machines to be brought in-line with the industrial future, enabling once-isolated equipment to be integrated with the equipment around them. The IoT Gateway further facilitates the incremental adoption of Industry 4.0. Sitting between sensors, process controllers and processing applications, manufacturers can connect equipment to gain detailed insights into their operation, ultimately making for greater efficiency and profitability. With these easy-to-install solutions delivering value from the moment of installation, manufacturers can quickly realise their potential ROI. From there, further automated solutions can transform every element of the modern manufacturing facility. Autonomous robots, for instance, can make just-in-time deliveries on the factory floor, supporting operators to carry out their work in the most efficient manner. With that support, human intelligence can be utilised exactly where it is needed, while the modern factory helps to reduce any human error which may naturally occur.